For the Latest Brian Boyd & PAYCE Community interviews - click here. Our News Page highlights the high regard in which PAYCE are held within the design and building industry communities. PAYCE have been the recipient of many accolades over recent years, being a mark of success in all aspects of community development. 14 August 2015 – Fast PAYCE Racing Team Revs up for 2015 F1 in Schools Competition. 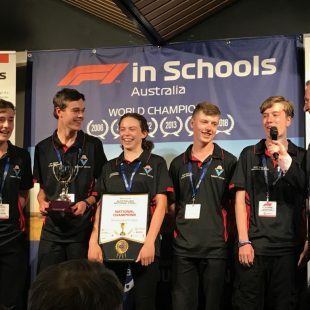 Engadine High School have formed The Fast PAYCE Racing team is officially launched with Engadine High School to compete in the 2015 F1 in Schools Challenge. The F1 in Schools Challenge is an international competition open to high school students world-wide. Fast PAYCE Racing acknowledges the robust support provided to the team by PAYCE through Brian Boyd and Dominic Sullivan. 5 August 2015 - PAYCE Projects Scoop Up Six 2015 Sydney Design Awards. With six projects shortlisted in the 2015 Sydney Design Awards, PAYCE are major accolade recipients in the final judging announced today. East Village received four awards across a series of categories which demonstrates the integrity of the development. PAYCE General Manager, Dominic Sullivan congratulated everyone involved, stating it was a great result driven from hard work and creative efforts. Managing Director, Brian Boyd was very proud to receive the awards and thanked the very talented project partners involved in the East Village development with PAYCE. 30 July 2015 - Six Shortlisted Nominations For PAYCE In 2015 Sydney Design Awards. The 2015 Sydney Design Awards have shortlisted all PAYCE projects nominated for awards in their corresponding categories. Brian Boyd was excited to receive news that six PAYCE entries are in contention for the highly renowned design awards. Brian Boyd thanked the respective design partners, all of whom PAYCE consider to be leaders in architectural fields. 28th July 2015 - Eight PAYCE Finalist Nominations Announced in 2015 UDIA NSW Awards for Excellence. PAYCE have been declared as finalists in the 2015 Urban Development Institute of Australia (UDIA) NSW Awards for Excellence with eight nominations across four projects. The awards are to be announced in August in Sydney. Brian Boyd, PAYCE Managing Director said the nominations covered a varying mix of residential, commercial and mixed use projects. 23rd July 2015 - PAYCE Project Wins Top Development Award. East Village, a landmark development by PAYCE is the recipient of the esteemed 2015 NSW Urban Taskforce Development of the Year Award at the Excellence Awards in Sydney. Brian Boyd was thrilled for the company to win the award. 22nd July 2015 - Sydney Street Choir Sings up a Storm at Opera House Relaunch. A group of Australia`s most esteemed entertainers joined the Sydney Street Choir to celebrate the relaunch of the SSC`s new business model. This long term, sustainable business model was developed and endorsed by Australian property company, PAYCE and includes corporate, education and charity patronage programs, a new website and a Foundation Partnership with PAYCE. 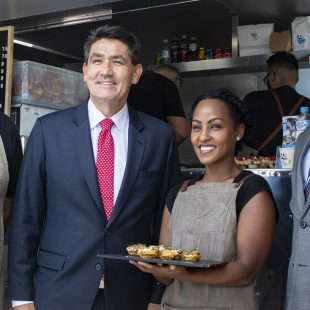 Brian Boyd, PAYCE Managing Director said it was a chance meeting at the 2014 Lights of Christmas event that led to the offer of support for the SSC. 19th July 2015 - 2015 Brooks PAYCE Sutherland2Surf produces closest finish on record. The 2015 Brooks PAYCE Sutherland2Surf Fun Run & Walk event was a spectacular success with everyone holding their breath as the winners crossed the line. With only one second separating the top two positions, the 2015 event is highlighted as the closest finish in its 44 year history. PAYCE Managing Director, Brian Boyd was very pleased to see a solid turnout of PAYCE staff and friends at the event and a great time was had by all involved. PAYCE General Manager, Dominic Sullivan said that it was fantastic effort by all competitors with nearly 6,100 starters turning up on the day. With atrocious weather throughout the preceding week, the day brought huge support from the community. Dominic Sullivan, PAYCE General Manager is passionate about creating thriving communities though continued support for positive initiatives and programs. 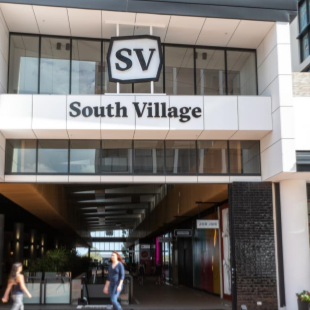 As a regular fixture at East Village, Dominic Sullivan can be seen engaging with the very community PAYCE envisioned from the planned outset of this superb development. Dominic Sullivan is devout in his approach to community growth and well being and engages people with infectious enthusiasm on all topics. Dominic is proud to be associated with the community groups which he and PAYCE are supporting and is a tireless advocate. Dominic Sullivan can be seen at many PAYCE community events, often switching roles to ensure all elements of the day are conducted with a true sense of enjoyment and fun. Brian Boyd offers his personal insight into every race meeting for the motorsport season across the multiple series of PAYCE sponsorship. Please join us for full Pit Lane News commentary from Brian Boyd and Team PAYCE journalist Bill Smith for every race meeting in the season. For more Motorsport Event News and updates from Brian Boyd on the PAYCE Motorsport Team - Click Here. To read the Latest Brian Boyd and PAYCE COmmunity interviews - click here.